Today contained a mixture of the last three acts in the first heat, the first five acts of the second one, and the first rehearsals of the automatic qualifiers. We got off to a very strong start with Armenia’s Artsvik. She’s in a mesh black trouser suit, sounding great, and there’s a very coherent look and feel to the performance. Slovenia’s Omar Naber was in fine voice today, and the staging was doing everything it can for the predictable ‘On My Way’. The LED panels that surround him give a sense of intimacy that plenty of others lack. He kneeled for the second verse, and the panels rose during the bridge. Latvia’s Triana Park sounded better in their second rehearsal, because they have increased the volume of the backing singer in the chorus. Agnese, now in full 90s club gear with her gold boots, still struggles in the verses. This is a genre that hasn’t traditionally found favour with jurors or televoters, but they are one of the few upbeat songs, and do have the pimp slot. Moving onto the second semi-final, Serbia is still struggling, with lead singer Tijana ‘In Too Deep’. It was slightly better than their first effort, but still bland, forgettable and badly executed. Austria’s Nathan Trent had a few vocal issues in the bridge, and was going for a lower key at that point to help himself out. He’s still bouncing around the stage like an excitable cocker spaniel, and much more charming than what comes before and after. Macedonia’s Jana is being asked to carry ‘Dance Alone’ on her own, and she’s not really up to it at the moment. She was in a short, black, fringed outfit with black boots today. It’s a disappointing three minutes for fans of the official video. Malta’s Claudia is doing everything she can with standard Eurovision ballad ‘Breathlessly’, on a blue stage with the occasional yellow note in the lighting chandelier. Romania’s Alex and Ilinca sounded like they’d been out having a good time last night, but there was no denying their energy and chemistry to ‘Yodel It’. The cannons were left unwrapped in later run-throughs, and apparently they’ve been denied confetti blasts, making do with the animated version on the backdrop. It turns out the big head photographed on stage during the technical rehearsals came from Ukraine’s set. The giant-sized prop sits behind the grey-jacketed lead singer of O Torvald. To a stormy dark backdrop, the head develops some flashing laser eyes during the bridge of ‘Time’. At the end of the performance, a body in the LED floor looks attached to the head, while the sun comes up behind. Italy’s Francesco Gabbani arrived as this year’s hot favourite, and he didn’t disappoint with a strong first rehearsal. He stuck with the winning formula from Sanremo, with extra dancing gorillas on the backdrop for the chorus (and just as colourful umbrellas for the “singing in the rain” line). Sure, the camera angles needed plenty of polish from the first run-through, but by the end they were capturing the four colourfully-decked backing singers doing one of the “Ale!” shouts. No one seems worried about the Eurovision edit of ‘Occidentali’s Karma’ any more. In the potential race for last place between Spain and Germany, the former got off to a flying start. Their first obvious staging mistake was to dress Manel in exactly the same way as his three band mates (in matching Hawaiian shirts), which means he’s not marked out as the star attraction. Their second obvious mistake was to have all four guys spend the first verse with their backs to the audience. There was a colourful surf theme on the backdrop and LED floor. In comparison, Germany’s Levina at least looked a million dollars, with a nice quiffed hairstyle and grey outfit. There was a great extended opening shot of her lying on the LED floor, but the staging doesn’t develop sufficiently from that, just offering different shades of grey, which makes the later double pyro curtain feel likes it’s just thrown in for the sake of it. The U.K. have a mirrored fan behind Lucie Jones, and gold everywhere – on her dress, an exploding cosmos backdrop, and in the fire-jet pyros. It looks lovely, and Lucie put her West End experience to good use by eking out everything she can from her song. That prop at least gives us a sense of intimacy, whereas France’s Alma – in a short black, silver and white dress – wanders aimlessly around a big, empty stage, looking for the world like she needs something or someone to join her. At least there’s a nice backdrop that becomes a swirling Parisian cityscape. Keep your thoughts coming below. Glad to see Uk making some good decisions. That low top ten is on depending on r.o and what qualifies. There was a nice 7/5 at betstars on a 11-20th finish. Still odds against now, worth covering at the very least. Pannecoucke looks to be phoning this one in. Still think they’ll beat Germany. Germany in trouble for nul on the televote if they’re on early. Ukraine and France much as I expected, near 20th and mid table respectively. 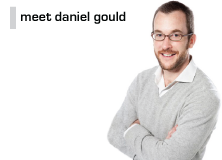 Hi Daniel – can you steer me in the direction of who are offering odds on countries to place in the top 10 market. One question: This Alé part in the official rehearsal clip of the Italian song does not sound live at all. Am I wrong? Looking at Germany, Spain and France’s entries this year – I do wonder how the big 5 year in year out, normally only produce 1 decent song between them….considering the resources they have available. There’s 2 this year as Italy and UK have sent quality and staged them well. France is a cracking song but staging poor. Germany is just bland but Spain has the worst and most repetitive annoying chorus I have heard for many years. Only Ireland is worse for me this year. That is truly horrible. Looks like the UK have done what everyone assumed the Australians would do, elevate an average song with stunning staging and world class presentation. That brief clip shows Lucie’s maturity and experience, both of which Isaiah lacks. I don’t see how the juries can rank Oz higher than the UK. The market seems to agree, he’s gone odds against for top 10. @UK…. who would have thought/ believed it! My Top 10 wager looking pretty promising. I can’t see 10 better all round packages. The song is decent, the staging is one of the best 5 and singer (vocals and presentation) is arguably the best. Top 5 with the juries? Still think the UK and the Netherlands are in contention with good running order draws next weekend. I guess he means left side? With a fair wind top ten would be possible? On another point I was talking with my bookie relative the other day. He is laying Italy on the bookie’s rule that in a field of 40, odds as short as those of Italy are unjustifiable, however good the performance is. Can I say something about this year’s contenders? Am I mistaken or are they are -again- mostly from Western countries or ‘classic’ Eurovision nations (nations that have been in the contest already since the very early 1950’s and 1960’s)? I mean, Italy, Sweden, Finland, Netherlands, Portugal, UK and Austria are all in the mix for a good position on the left hand side of the scoreboard. And Australia, well it’s basically a nation of former European immigrants. From Eastern-Europe only Bulgaria and Armenia have a good shot at TOP 13, with possibly Romania and Estonia too. But the latter two countries have already been with the Eurovision family since the early 1990’s.